What did you think of Add Fractions with Unlike Denominators ? 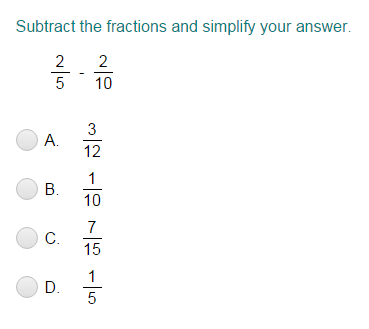 Use least common denominator to find the sum of fractions with unlike denominators. Notice that 28 is the common denominator. 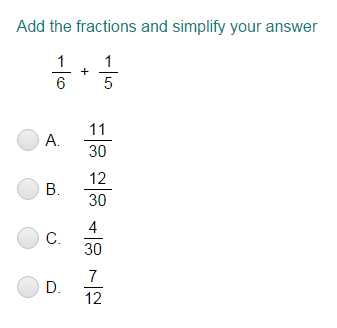 First of all, rewrite both the fractions having common denominator 28.
by 4 to find an equivalent fraction. by 7 to find an equivalent fraction. Now add fractions. Add numerators and keep denominators the same. is written in simplest form.